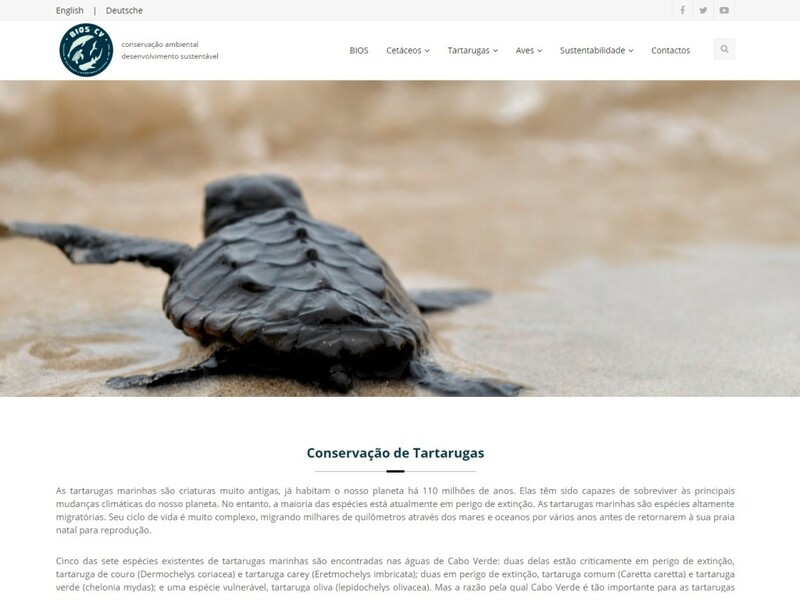 Association for the study and protection of species protected by Boa Vista – Cape Verde. The site pantry a great deal of information on all the activities of study, Bios research and conservation, along with engaging photo galleries of protected species and activities of the company. Special attention is given to voluntary activities and international cooperation for sustainable development, scientific research and awareness-raising activities on the environment. The site is easy to navigate, includes spectacular images and is of “responsive” type, to fit the device on which is displayed, in addition to having a structure “light” to be loaded quickly, regardless of the bandwidth available.